Project Goal: For the citizens of Quito to reinvent their city as a green city that is sustainable and environmentally friendly that can support its wildlife and native plants. The project developed a relationship between citizens and their natural environment that has been lost due to urban growth in Ecuador’s Capital city, Quito. By raising the profile of plant and animal species that are native and endemic to the area, Finding Species expanded the environmental awareness of the local citizens, which promoted beneficial environmental practices. Finding Species worked with the local government of Quito natural heritage office, to construct the concept of natural heritage and prompt it to the public agenda to achieve the preservation needs. One of the major achievements of this project was that the city council formally declared 13 fauna species as natural emblems of the city. The joint work of Finding Species with the city government natural heritage office coordinated the work of scientists and naturalists for this declaration. The project began in March 2010, and our first accomplishment was a publication in a national circulation magazine. This publication issue addressed topics concerning environmental sustainability in Quito, such as water, transportation and biodiversity. Naturalists, artists, researchers and cultural managers collaborated to create a campaign to project the images into society by means of traveling exhibits, 6 types of leaflets, 3 types of posters and 7 types of postcards. Reconnecting with the Wildlife in and around Quito sought public outreach on flora and fauna species through documenting biodiversity and habitats in a photographic artwork. Finding Species exhibited this work in the city and suburbs to evoke awareness. Four traveling exhibits began September 2011 and continued through May 2012 in public arenas like the public transportation system in Quito. At these exhibits leaflets and descriptions were made available to convey the message, “wild Quito”. 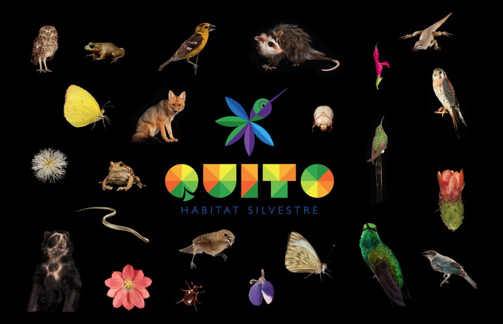 The key objective of this project provided evidence that native biodiversity has played a crucial role in the culture and tradition of Quito. 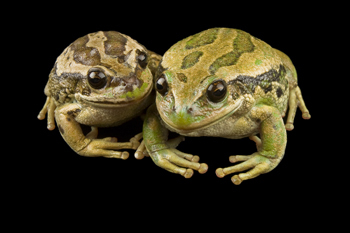 Finding Species promotes a new relationship with Quito’s natural heritage by respecting the city’s biodiversity and re-connecting people with the landscape and biodiversity. A permanent exhibit can be viewed at Quito’s Botanical Gardens located in Parque Carolina.